This is one of the best remedies for summer heat symptoms which leave you dehydrated and exhausted. Watermelon cools and cleanses the system, clearing heat out of the system and acts as a natural diuretic. The juice is more concentrated than simply eating the fruit and is one way to recover from heat stroke. Learned this one the hard way after a second degree sunburn. Take 8 tablets of Aspirin, crush them into a fine powder, add about a cup of warm water to dissolve the powder, add a few drops of mint oil, and place the liquid in the freezer for a few minutes to cool. Soak a washcloth in the water and place on sunburns to immediately take the heat out and topically reduce the inflammation. 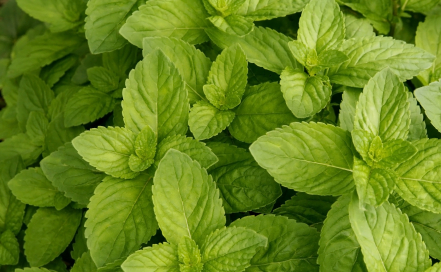 The mint helps take the sting out of the burn and creates a cooling sensation. Better than aloe! Quite simply the best thing on the market to help heal from a burn. It's getting harder to find, but you can still order it from Amazon! Created in 1894, it's usually used to as a rub to help alleviate cough, but the viscous nature retains moisture in the skin while allowing it to heal as the menthol and camphor keep it cool. Natural insect repellents work just as well as the synthetic ones without the chemical byproduct. You can find dozens of recipes on the web - the secret is to use therapeutic grade essential oil. The higher grade means that the oil is much more potent, has not been put through a chemical solvent process, and you need less for it to work. Mountain Rose Herbs carries all the oils listed below and you can even order 1 oz small glass containers for the spray. 10-25 drops essential oil. Blue cypress, peppermint, geranium, clove, thyme, lemongrass, basil and lavender are the best for mosquitos; especially peppermint and thyme since they double as an insecticide that interrupts the larvae stage of mosquito growth. Combine the ingredients in a glass jar; shake vigorously to blend. Dab a few drops on your skin, clothing, or outdoor furniture. Mix 5 to 6 drops with 1 ounce of distilled water in a small spray container. Because of all the heat, indigestion can occur more easily than at other times of the year. A light and less-greasy diet is best; summer is the perfect season to introduce some cool foods into your diet. Chinese nutrition classifies food according to its energetic qualities of temperature, taste, and ability to moisten and strengthen the body. Food with cooler properties can clear heat, reduce toxins, and generate body fluids. Cooling foods tend towards the more green end of the spectrum — lettuce, cucumbers, and watercress are some of the coolest. Fish and seafood are also cooling, while most meats are warming - so save the lamb kebabs for fall.